Andrés Iniesta’s days at FC Barcelona are drawing to a close and to celebrate his 34th birthday today, we’re bringing you a reminder of his first ever goal for the club. And it was against none other than Levante, they very side he’ll be facing this coming Sunday in his penultimate game in the blaugrana shirt. His maiden goal came in just the third minute of a Copa del Rey match in January 2004, which the side managed at the time by Frank Rijkaard went on to win 3-1, with Javier Saviola and Ronaldinho getting the other two goals. 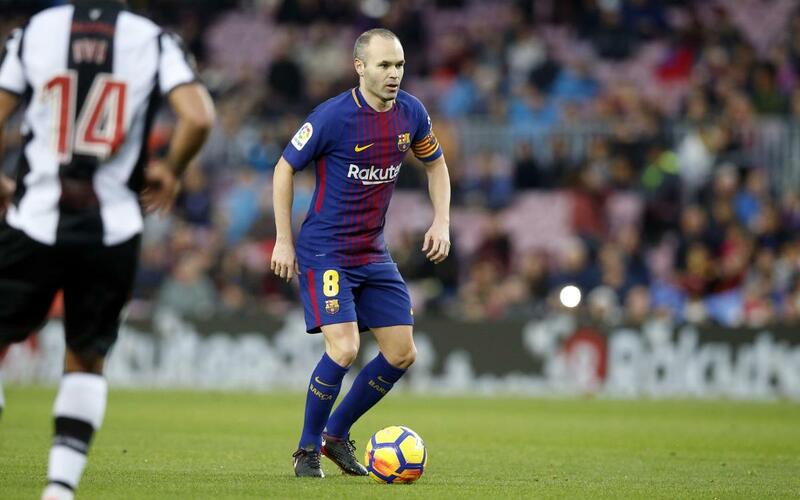 Iniesta played the first 40 minutes of the game before being replaced by Gerard López in a side that also included such venerable names as Victor Valdés, Carles Puyol and Xavi Hernandez. Barça have played Levante 17 times since then and have never lost. In fact, the 22-match unbeaten streak in all competitions is the team’s longest against any club. It’s been amazing ride for Iniesta since that night at the Camp Nou. He’s amassed an extraordinary 671 appearances, scoring 52 goals and collecting a record (shared with Leo Messi) of 32 major trophies.